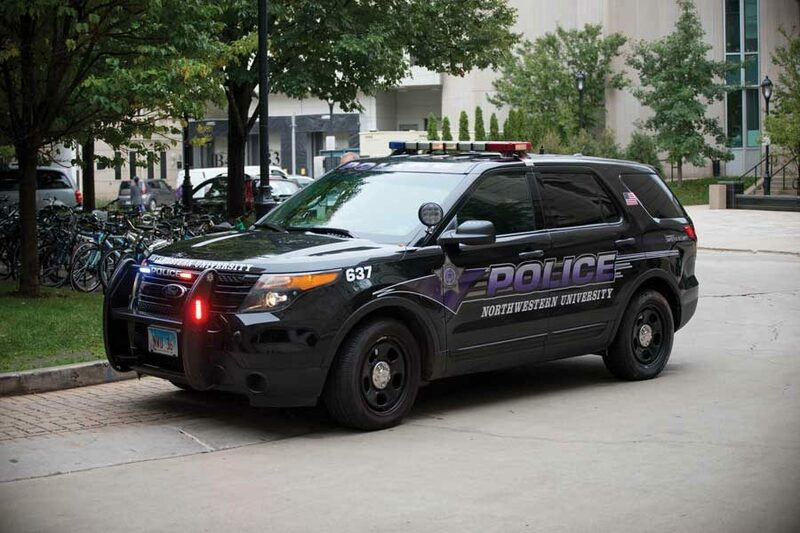 A Northwestern University police car. University Police alerted the community about two incidents on or near the Evanston campus. Northwestern is warning the Evanston campus community of two reported incidents Tuesday night. The two “made a disparaging comment” and walked away when the two female individuals did not respond to the original comment. The incident was reported to UP at 6:50 p.m. and is under investigation. The second incident occurred at 5:10 p.m. near 1700 Chicago Avenue. A female individual was walking southbound when two white men made a comment to her and then grabbed her arm. The woman ran south and the two men — in their mid-20s to early 30s — proceeded north. The incident was reported to the Evanston Police Department at 9:08 p.m. and is under investigation by the department. NU alerted the community last week to three different reports of men grabbing women from behind at night. UP increased its patrol in response. On Tuesday, Lewis urged the community to report suspicious activity “in a timely manner.” It also suggested community members use Safe Ride and limit headphone volume when walking home.